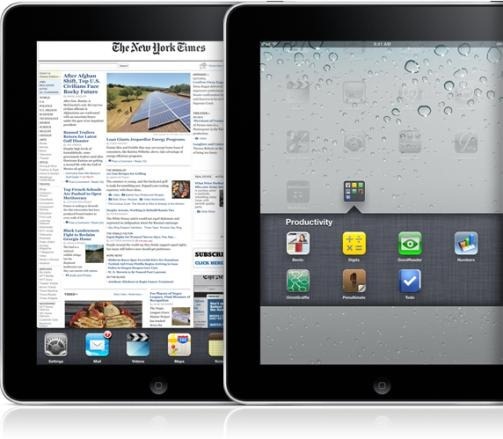 Apple to Introduce iPad 2 And iOS 4.3 To Public Within 10 Days? We’re firmly in rumor territory now, and MacRumors has managed to piece a few tidbits together that certainly seem to point towards iOS 4.3 being released to the public on February 13th, along with a possible iPad 2 announcement. Two of the main additions to iOS in version 4.3 are the personal WiFi hotspot feature along with the ability to use in-app subscriptions. With that in mind, Daring Fireball’s John Gruber believes that a Feb 13th release must be on the cards, due to the recent release of News Corps’ The Daily app. This is certainly a logical conclusion. As things are, there is no way for a user to purchase a subscription to The Daily once the 2 week trial expires. An oversight on Apple’s part? I highly doubt it. If that doesn’t convince you, try this on for size. In David Pogue’s original Verizon iPhone review, the NY Times writer claimed that all iPhones will be receiving the new mobile hotspot on, you guessed it, February 13th. The single new feature in Verizon’s iPhone is Personal Hotspot, where the iPhone becomes a Wi-Fi base station. Up to five laptops, iPod Touches or other gadgets can get online, using the phone as a glorified Internet antenna. Unsurprisingly that review has now been edited to remove all mention of the release date. Ooops! Next up we have German blog MacNotes claiming that Apple is planning an event for the coming week that will play host to the iPad 2 announcement along with the iOS 4.3 public release. The site also believes Apple is aiming to release the device in the US during the first half of April. Not long now folks! It’s only going to get more interesting from here on, with more pieces starting to slot together. All we need now is a couple of nice iPad 2 spy shots, and rest assured we’ll be bringing them to you as soon as we (hopefully!) have them!